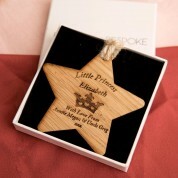 If your little girl is your precious pincess then a princess themed gift would be perfect for her. 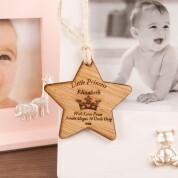 It is a lovely gift for a new born baby, 1st birthday, christening or a gift just because she is your princess. 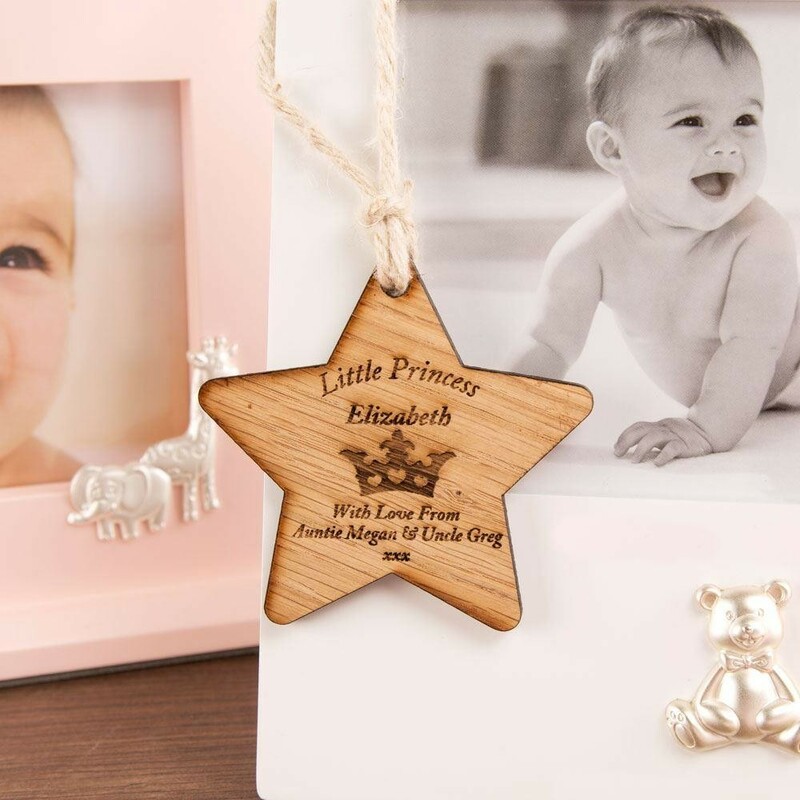 Our wooden star is a complimentary decoration for any little babys nursery. It can be hung up on a wall or at the end of the baby girls cot. 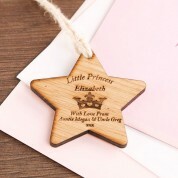 As wood is a natural product, the wood colour varies slightly so every star is unique.